Need a login system for your games? 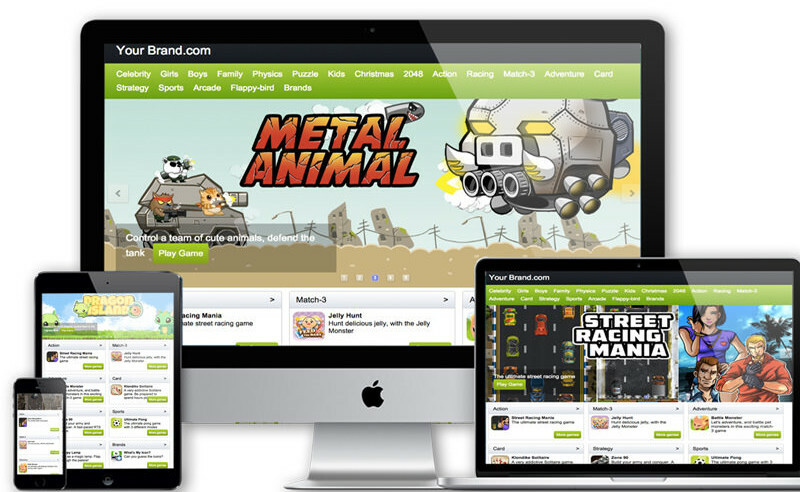 MarketJS provides login systems for your HTML5 games. Using our system, it's now possible to easily collect user registration and login data. To view our mobile demo, type bit.ly/login-demo in your iPhone, iPad, or Android device. 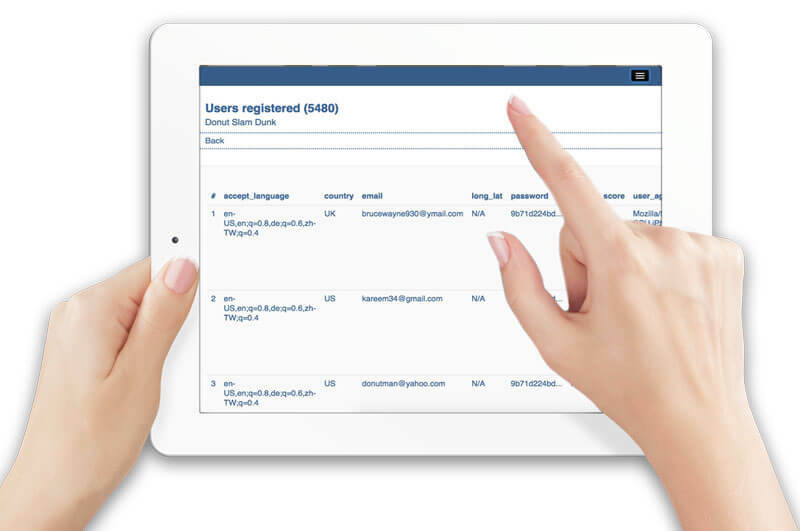 Collect valuable user email addresses, names, location, high scores and more. 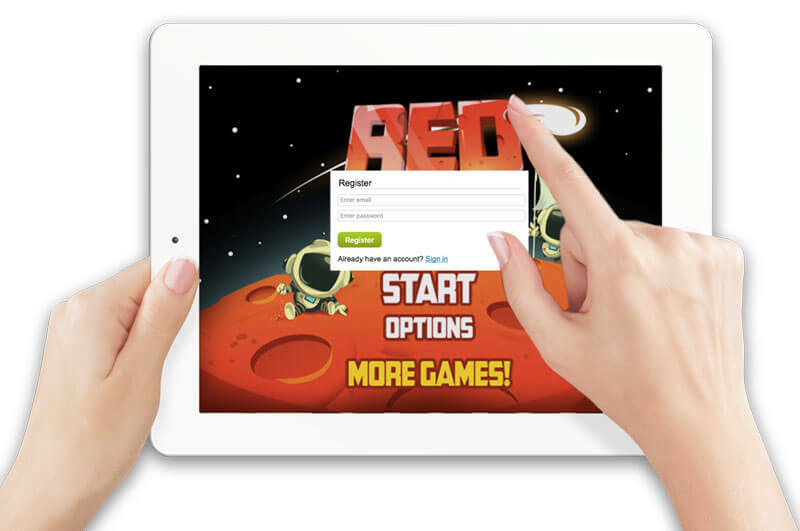 Integrate the login solution into any one of our 100+ games. We do it for you. You've got a great game, but now you need to collect user data. Instead of hiring a backend engineer to figure out user registration, login, and authentication from scratch, why not go with a ready-made solution? 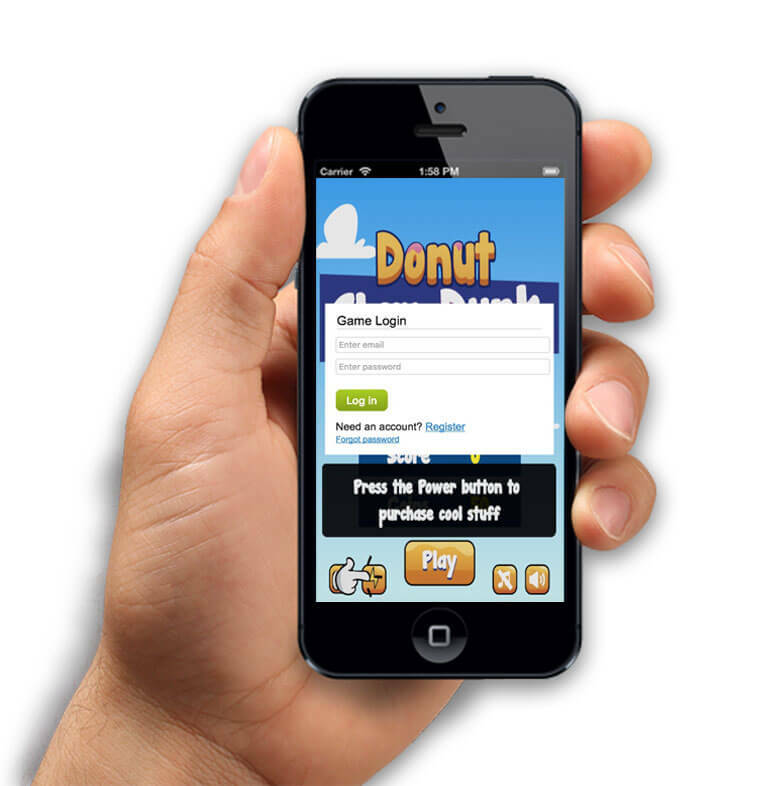 By leveraging our game login system, it's easy to start collecting user data for your games. We can design the registration and login UIs so it matches your brand's look and feel, as well as the appropriate campaign message. 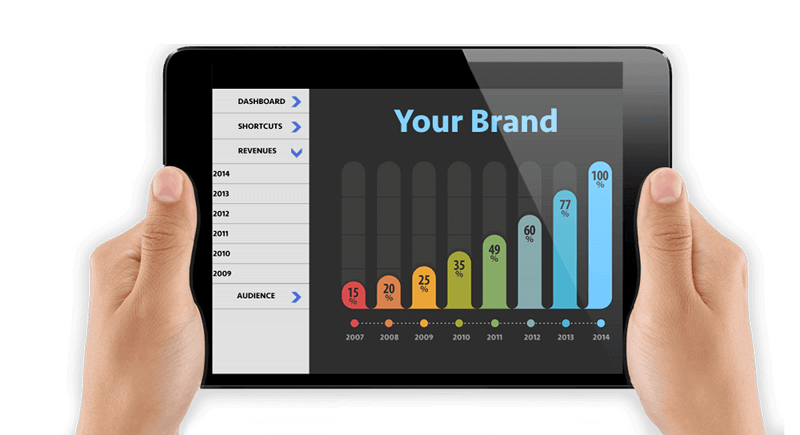 This provides higher brand recognition and engagement among your users. We worked with Dice, a career website with millions of skilled candidates. 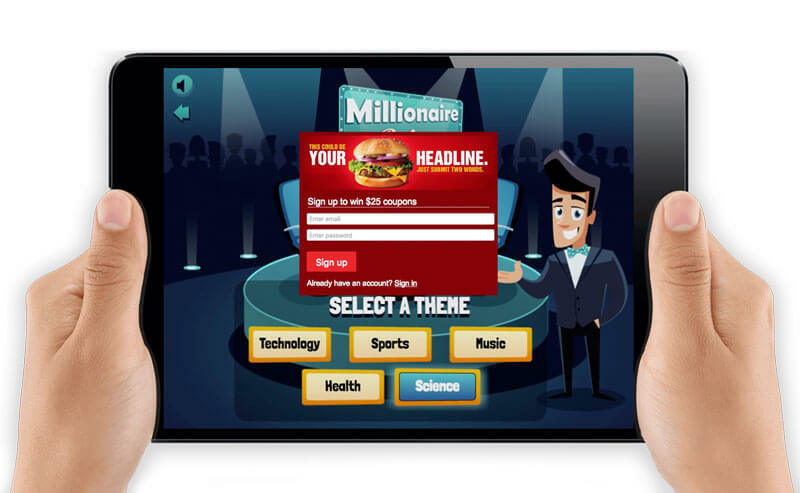 We helped integrate a series of casual games into their web properties, as an outlet to reward jobseekers. Each game contains a unique leaderboard, where the users get to register and compete for the highest score. Winners receive prizes such as T-Shirts, Rubik's Cubes, candy boxes and toys. Bobbies, a French designer shoe brand approached us to build a fun and engaging game for their target audience. Using the original engine from our game, Fruit Blade, we rebranded the game to feature the beautiful shoes from the brand. With help of our registration and leaderboard system, the game was launched as a contest, where top scorers get to win real designer shoes from Bobbies. The collected data is then used as business leads by the client's marketing team. We helped Boost Mobile, a US-based wireless carrier launch a branded card game at a trade show. The goal was to generate brand awareness and collect leads for future upsell. To add a touch of competition, we added a registration, login and leaderboard system. Booth visitors got to compete for the top 10 spot. We worked with Solarwinds, a large IT services company. We rebranded one of our popular games, Leave Me Alone into an endless combat game. Players sign up or login to submit their scores. Top scorers are awarded daily and weekly prizes such as T-shirts and NES game controllers. Need to track user high scores? Our system can do that too. Via our simple to use dashboard, view real-time data of users who registered with your game. Export this data into other formats such as JSON or CSV. Don't have a game? 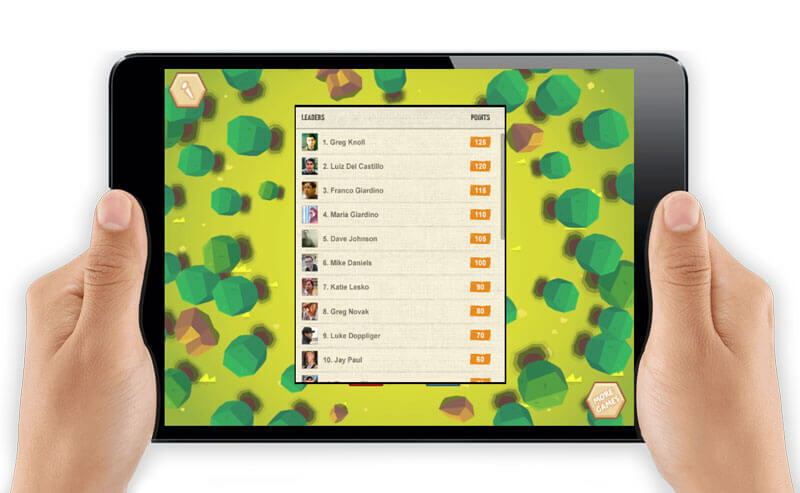 Use any of our 100+ games to easily engage and collect user data. Choose from a wide variety of games, spanning multiple genres including Match-3, Arcade, Action, Adventure, Cards, Words, Physics, Family, Girls, Boys, Strategy and more! We produce games on a regular basis. Our pipeline ensures a continuous supply of fresh new games, to keep your audience up to date with the latest trends. Click here to view our games catalogue. You own all data generated by the players, including analytics, login systems, and player leaderboards. The data is summarized in clear and compelling dashboards. Gain insights into how your games are performing, and make necessary improvements. We handle the integration of the entire login system for you. Sit back and relax, as we handle the nitty gritty	details such as login form UIs, status messages, redirects, email confirmations, dashboard accounts and more. We'll send you a working version for your final approval. An end-to-end games solution that can be fully skinned with your own look and feel. Seamless user integration - user only has to register once to access all services. Flexibility to offer a full featured white label solution or an XML solution. Full language localization of the platform and all the games. 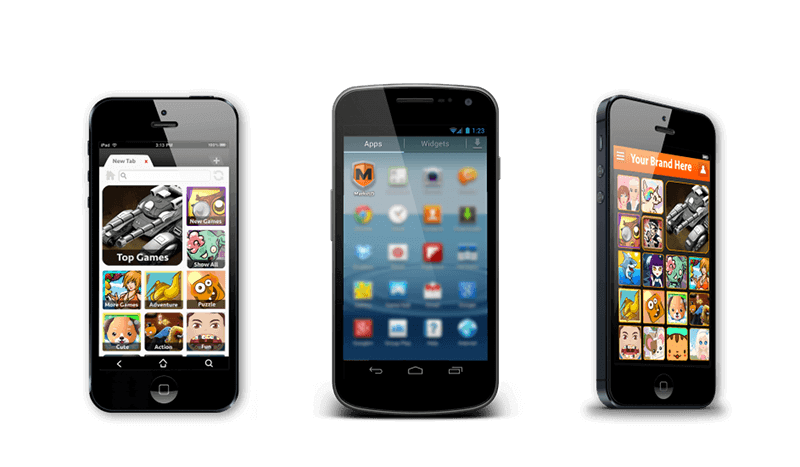 Full compatibility across web, social media and mobile devices. Multiple monetization options including ads and virtual goods. A variety of community features to keep users engaged. Eliminates any integration hassle with 3rd party game studios - we supply all the games. Over 15 years of combined industry experience. Self managed or fully managed solution by us. Minimal setup costs - we handle 99.9% of development and integration. Access to multiple revenue streams. Regular new features and games. We offer a fully hosted solution, there is no additional load on your hosting environment. We pride ourselves on customer service. We believe in reaching above and beyond to make you happy. Our ultimate goal is to help improve your brand and monetize your traffic. Our editorial team updates your portal with new games on a regular basis. 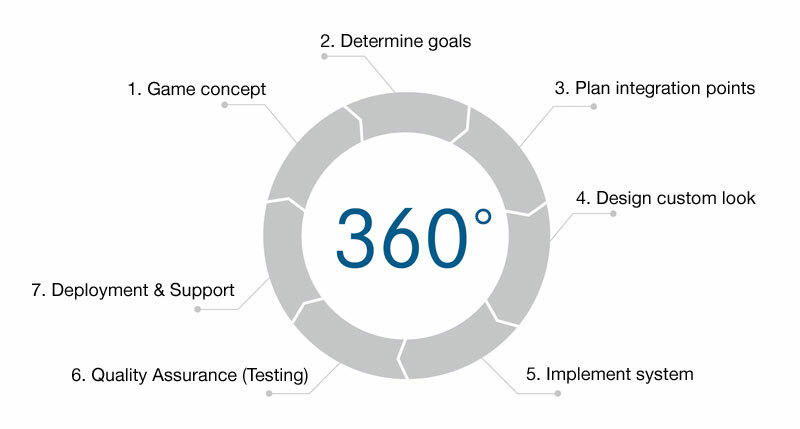 We have data experts who will analyze every single aspect on your portal, and optimize it to perfection. We listen to every single feedback from our clients. 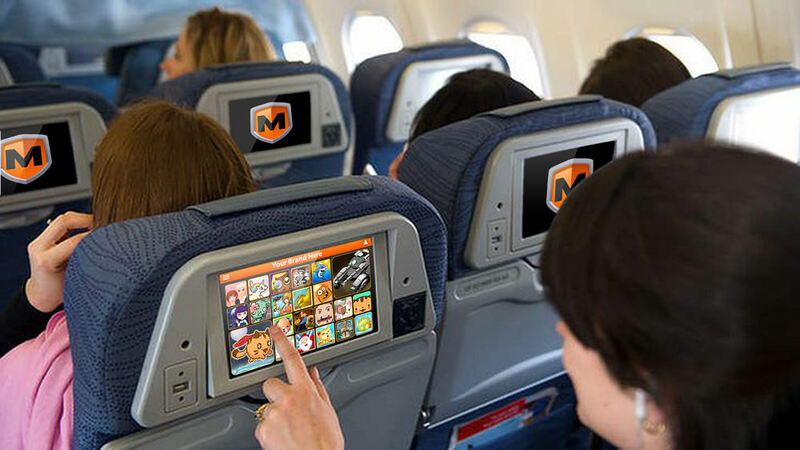 Being a cross-platform company, we're always developing new ways to distribute content. 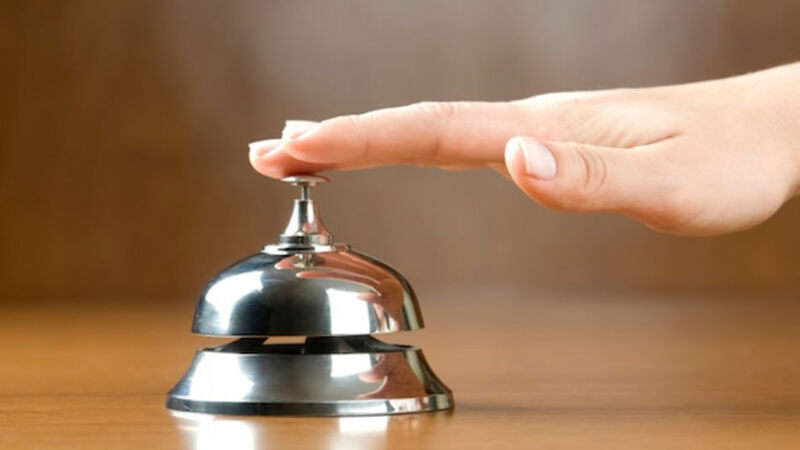 Besides the world wide web, our white label solutions can be implemented in other industries, including ground transportation, aviation, telecommunications, education and healthcare. Click here to learn more about what we're working on. I wish to license your games including the login system I wish to license your game login system I need a highly customized solution I'm doing some research. Can you help me?